Before we get to the list, a few happy-plant notes. All plants, no matter how easy, need some care. Here’s a few simple plant-care tips: There are 3 main things to remember: Light, Water & Drainage. First, read the care tag on your new plant. 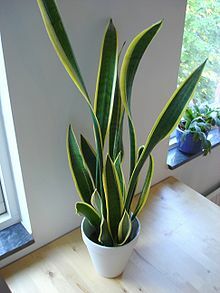 It will tell you how the plant likes its water, and whether it likes low, medium or bright light. Sunny window? Get a bright-light plant. Dimly lit basement? Get a low-light plant. Watering. The #1 cause of premature plant-death is under- or over-watering. In general, the easiest way to tell if your plant needs to be watered is to get dirty. Stick your finger in it, a good couple inches down. If you feel moisture, don’t water. If it feels dry, water it. You’ll want to check most plants twice a week, especially in dry climates. Write it down on your calendar so you’ll remember. (That’s what I’d do) This brings us to Drainage. Plants don’t like sopping wet feet. There needs to be a layer of drainage material on the bottom under the soil in addition to drainage holes in the pot. It can be a layer of small rocks, pieces of broke pottery, or the industry standard, perlite (a small white volcanic rock). Drainage is a must if you want a happy healthy plant. Keep them looking good by removing yellowed or dead leaves with scissors, rotate your plant occasionally for even growth, and if you want a Gold Star for plant care, fertilize according to the plant’s care tag instructions. Lastly, the temperature needs to be between 60-85. Keeping houseplants outside in the winter is a no-no. 1. Lucky Bamboo & Curly Willow. OK, these are not your typical potted plants, but it doesn’t get much easier than this. 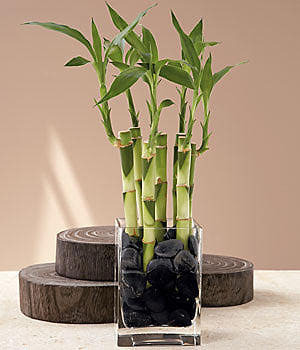 Just keep either the lucky bamboo or curly willow in a container of water (a nice vase or bowl) no dirt needed. Change out the water every week or so, that’s it. The willow branches will want a bit more light, but both are pretty forgiving when it comes to amount of light. (I’ve had lucky bamboo in my very low light bathroom for over 6 months now and it’s just fine) You can find both at your local florist, and sometimes at the grocery store floral section. Just make sure the curly willow branches are not dried out. Once in water they will quickly start to grow roots and leaves. I’ve also shoved these into a pot with moist soil and they grow just as well. 4. 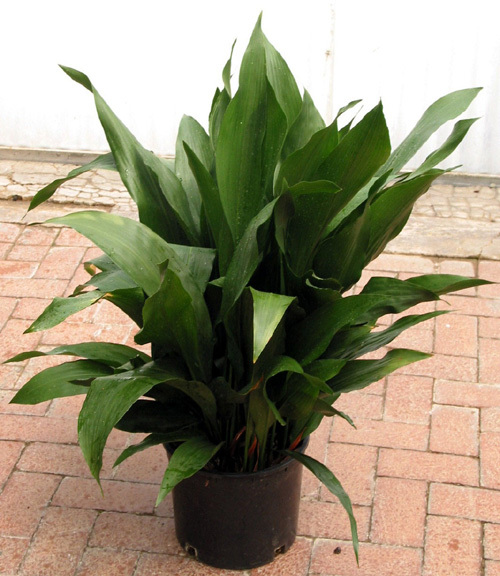 Cast-Iron Plant (Aspidistra). As the name suggests, this one is tough. It does well in low light with evenly moist (not wet!) soil, so you’ll probably need to water twice a week, but always check the soil first. 5. Peace Lily. This is one of my favorites. 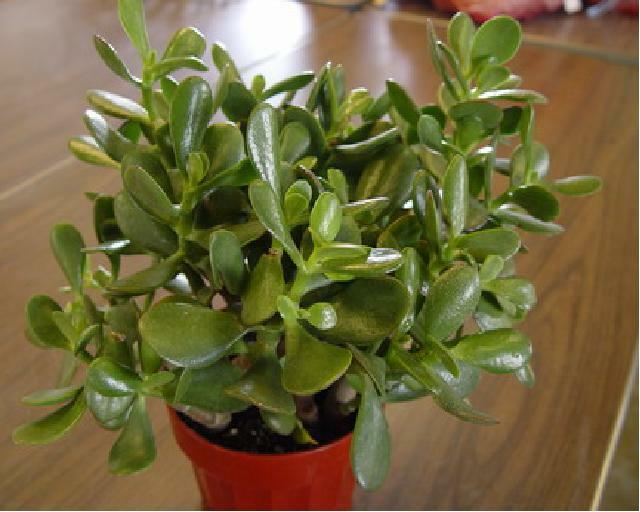 A full, pretty, fast growing plant with large white flowers (if you fertilize a couple times a year) and a good air cleaner. Does well in low light and likes even moisture. If you miss a watering you’ll know it soon, as the leaves will start to droop. I’ll be happy to answer any plant questions you have, just write them in the comment section below. This entry was posted in home, lifestyle, plant care and tagged black thumb, easy plants, houseplants, jade, lifestyle, lucky bamboo, peace lily, plant care, plants, snake plant. Bookmark the permalink. ← Find(s) of the Week – What a haul from the Thrift Store!